This book examines the adaptation of Buddhism to the Australian sociocultural context. To gain insight into this process of cross-cultural adaptation, issues arising in the development of Diamond Sangha Zen Buddhist groups (one of the largest Zen lineages in the West) in Australia are contextualised within the broader framework of the adaptations of Buddhist teachings and practices in other Westernised countries. The book also examines the methodological approaches currently used for studying this process and suggests a synthesis of the approaches used for studying convert and ethnic Buddhist groups. 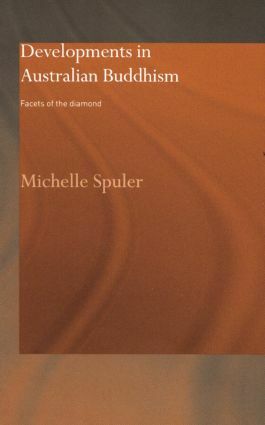 Michelle Spuler is the former editor of the Journal of Global Buddhism and has held positions at universities in USA, New Zealand and Australia.